European Society for the Study of Western Esotericism’s Newsletter is NOW Available for FREE! – Zero Equals Two! European Society for the Study of Western Esotericism’s Newsletter is NOW Available for FREE! 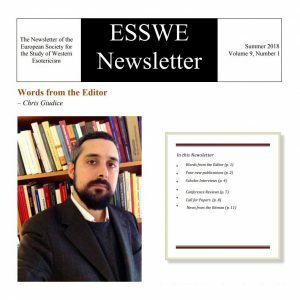 The 2018 summer edition of the European Society for the Study of Western Esotericism’s Newsletter is out. Please download it from the ESSWE Newsletter page: http://esswe.org/Newsletter.